We Live In A Political World: #36 / Updating Socrates? 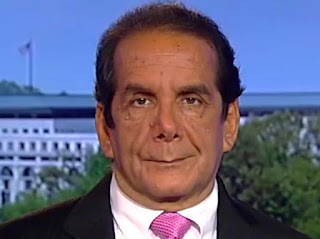 Charles Krauthammer, pictured below Socrates, was a "leaning right" political pundit who apparently compared President George W. Bush to Abraham Lincoln. Krauthammer died in June, 2018. Abraham Lincoln died in April, 1865. George W. Bush is still alive. According to Oppenheimer, Krauthammer believed that "introspection, self-counsciousness [and] deconstruction...were more likely to be vices than virtues, corrosive to the good life, sound political judgment and global leadership." Krauthammer did have an advantage that Socrates did not. Krauthammer lived post-Shakespeare, and can be expected to have pondered Hamlet's agonized ruminations about how we often fail to take action, as we ought, when our resolution becomes "sicklied o'er with the pale cast of thought." Now, I guess, with the Krauthammer book, we know the answer. Influenced by the kind of "worldview" espoused by Krauthammer, our president wasn't thinking at all! As far as I am concerned, Krauthammer's comparison of Bush to Lincoln is not convincing. With all due respect to Krauthammer (and to Shakespeare), when I think about what sort of leader I would like to have guiding our national policy, it strikes me that it would be an advantage, not a fault, to have a leader who "thinks" before that leader acts. 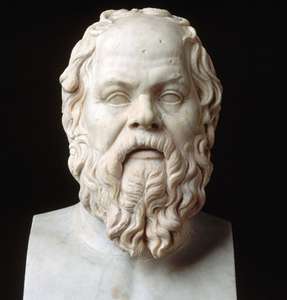 Just to be clear, in other words, as between Krauthammer and Socrates, I am sticking with Socrates!